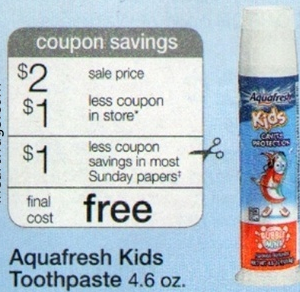 FREE Aquafresh Kids Toothpaste w/ Coupons! Yay! You can score free Aquafresh Kids toothpaste at Walgreen's this week with a few coupons. Thanks, Cuckoo for Coupon Deals and NW Bargains for the photo!